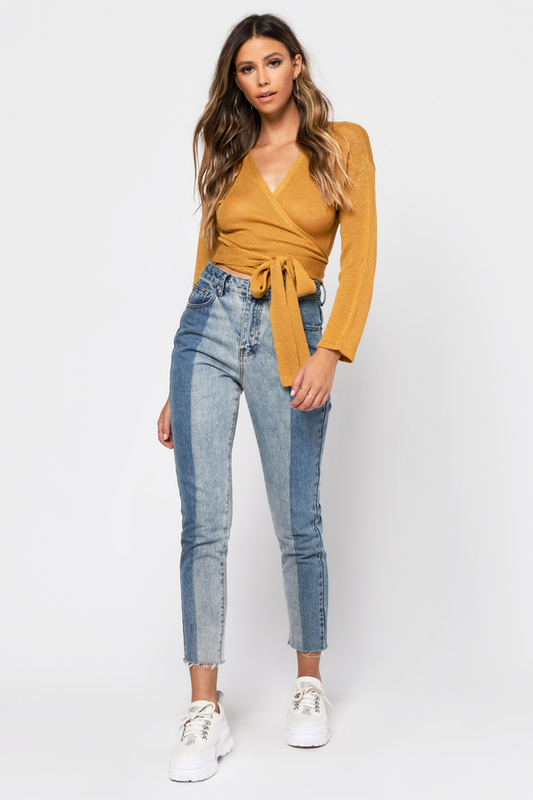 Check out Tobi's Just For You Wrap Sweater Light and breathable, the Just For You Wrap Mustard Sweater is the perfect piece to wear when it's only slightly chilly out. 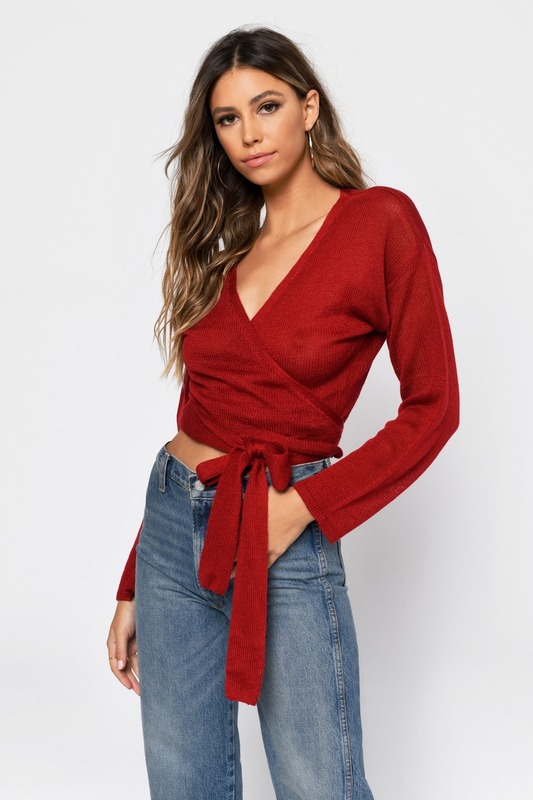 Featuring a wrap detail, a v-neckline, and a flattering waist tie, take this long sleeve knit sweater with you as you explore the city. Light and breathable, the Just For You Wrap Mustard Sweater is the perfect piece to wear when it's only slightly chilly out. 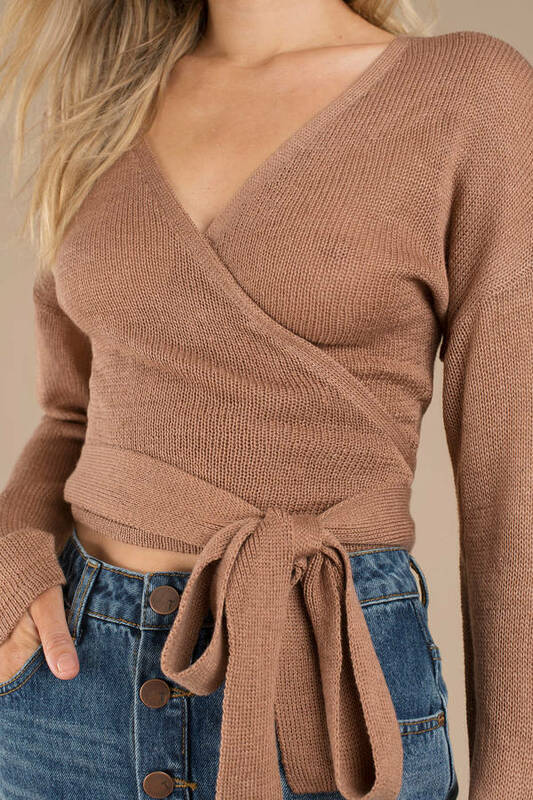 Featuring a wrap detail, a v-neckline, and a flattering waist tie, take this long sleeve knit sweater with you as you explore the city. Light and breathable, the Just For You Wrap Sienna Sweater is the perfect piece to wear when it's only slightly chilly out. Featuring a wrap detail, a v-neckline, and a flattering waist tie, take this long sleeve knit sweater with you as you explore the city. 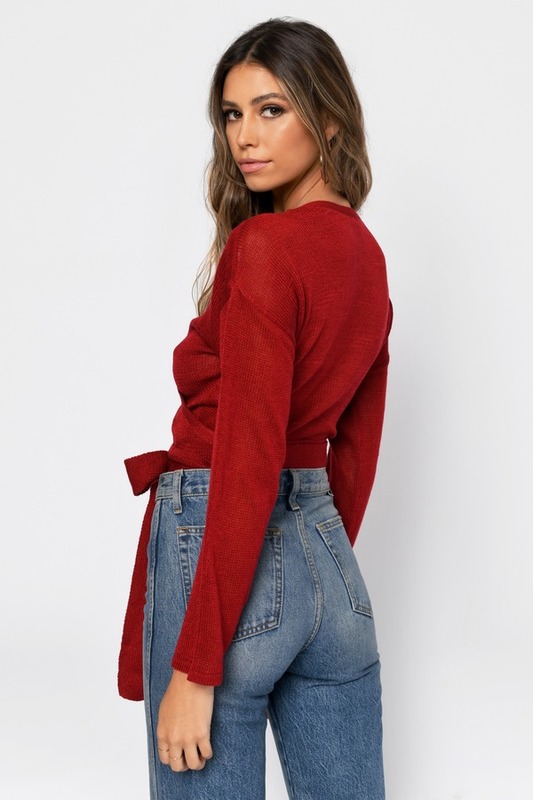 Light and breathable, the Just For You Wrap Red Sweater is the perfect piece to wear when it's only slightly chilly out. 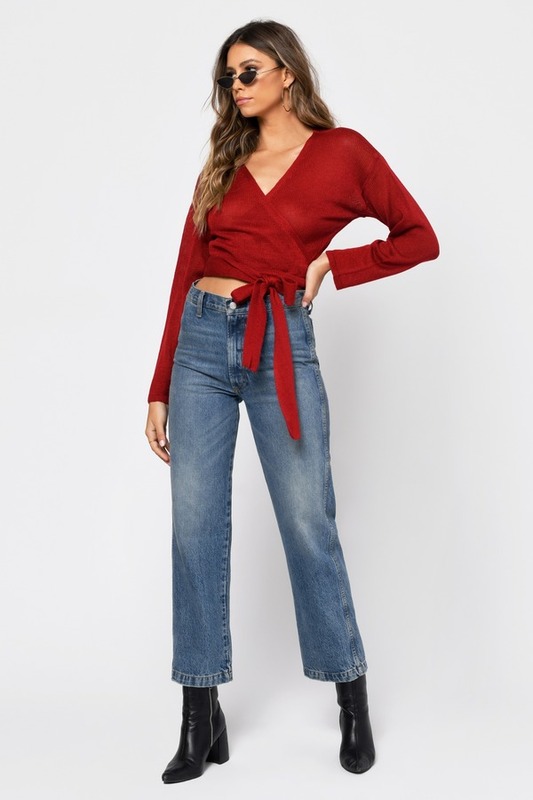 Featuring a wrap detail, a v-neckline, and a flattering waist tie, take this long sleeve knit sweater with you as you explore the city. Sienna and Yellow modeled on a size Small.